Your supply list will indicate if you have any 'homework' such as cutting and preparation of fabric. It is important that you do your homework prior to coming to class so that you get the most out of your class. You will find a (C) or (R) in front of the class/club names. This Indicates if the class is schedule in our Cary or Raleigh location. The Tabatha designs are as delicate as their name implies. Join Karen over a period of 5 classes, as she walks you through stitching out this beautiful wall hanging which you could enlarge. There are 20 blocks in total and your class fee includes the price of the software. The files we provide you will include quilting that is as delicate as the Tabatha designs. The designs require a hoop size that accommodates an 8” square design. In each class, we will provide you the files needed to complete your homework between classes. The choice is yours, bring your machine to class (There will be time to create at least 1 block in class.) or come to class for instructions along with show and tell and pick up your files needed to complete your homework. You need to have a hoop that will that will accommodate an 8” design. This is a hands on class. We think Floriani has the best software on the market today. Don't be overwhelmed by all the functions. Join Karen as they walk you through the simple basics. This is a hands on class so you are welcome to bring your laptop, or choose to just observe. Leave class with a better knowledge of your software and the confidence to use it to its fullest. 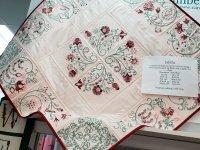 If you have ever wanted to finish a quilt quickly, make a quilt completely on your own, or see what else you can do with your embroidery machine, then this class is for you. The Easy-Connect Quilting files and technique allow you to use your embroidery machine to get quilting results like you’d see from a long-arm quilter. We will start from scratch stitching out a template and then quilt on a quilt sandwich . 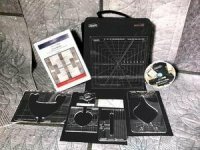 Edge-to-Edge Quilting on Your Embroidery Machine Software (Main Package - not expansion Package). Embroidery Machine with hoop that will accommodate at least 5.6" x 9.9" design. Let Karen take you thru the Quilt Class in a Bag – Continuum class. 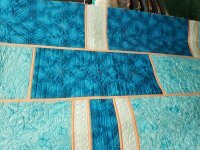 It is a series of Ruler Work Quilting classes. 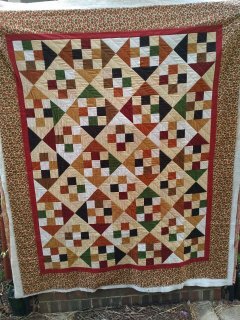 Continuum is the 3rd quilt in Westalee Ruler's "Creative Quilting Inspirations" Class Series. The finished quilt is 87" x 87" and will truly be your masterpiece when completed! Karen will give tips and instruction on ruler quilting techniques and also to answer any questions that arise. There is "homework" in between our classes. Each class is $30 if bought separately, or $100 if you buy all 4 classes at once. Missed the 1st class, no worries, you can jump in anytime. Students can choose any color way for their fabric selection, though we recommend a low-volume print with contrasting thread so you can easily see your Ruler Work Quilting. Wool batting is another way to make your quilted stitches puff up! Quilt Class in a Bag Ruler Kits are sold separately and are available in the store. All the rulers needed to create your beautiful quilt. Time: 10am - 2pm. Bring your lunch if you like. There will be homework between classes. Join Sabrina for a great, hands on class where you will learn all the tips and tricks to create a finished quilt without all the frustration. 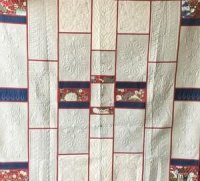 If you are an absolute beginner or more advanced quilter that just wants to brush up on skills and techniques to get better results, this class is for you. You will complete a lap size quilt. There will be homework between classes, so come to class ready to move to the next step. 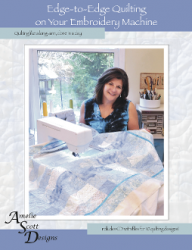 This class is the first in a series that will help you build skills to become a great quilter! What to bring: Fully functional machine with basic sewing supplies,strait stitch and zig zag, walking foot, pattern, bring a lunch, thread, bobbins, long strait pins, wonder clips, extension table if you have one and extra needles denim size 14. Now you can complement your Quilt with a matching rug and you sew it from start to finish.Learn how to begin the processing learn the tricks to make it look great and stitch it up on your machine. 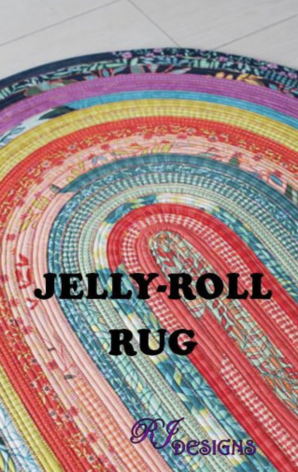 These floor coverings are also great to simply bust up your stash of scrapes. Embroidery Club is open to all makes and models of embroidery machines. If your embroidery machine is another make, other than Baby Lock, please make sure you know your machine, machine is in good working order and bring manual for problem solving. Embroidery Club - all machine formats welcome! Whether you are new to embroidery or have had your machine awhile, come and join us on a monthly basis as we explore using our embroidery machines. We will be exploring doing different techniques and using different fabrics. Some projects will be ITH (In the Hoop), putting a zipper in that won't have you pulling out your hair and exploring our creative stitches on our machines. The following will give you a brief description of the upcoming Embroidery Club Projects. This will be a sew out instructional class. We will build each project that will walk you through all the steps to create a beautiful project. You will get your KimberBell files and instructions on the USB drive you must bring to class. Pickle Pie software available. Remember those paint by number coloring pictures you may have done as a child? All you had to do was follow the directions, coloring or painting each shape a specific color, and before you knew it, you created a fun mystery picture! 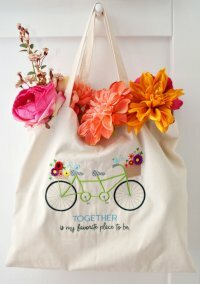 The piecing projects you’ll find in such projects like the “Machine Embroider by Number™” or zipper pouches, works the same way, but with fabric piecing on the embroidery machine—and we promise it’s still just as easy! Don’t be overwhelmed by the number of steps in each design. They are each small steps that are easy to follow along. You will see us build the project showing each step with you and you will have full color instructions to follow at home. And although there are a number of color changes in the design, that is only meant to “tell the machine to stop” between steps. Usually only 1 or 2 thread changes are needed. If you lose track of which step you are on, your step by step directions include an icon indicating which step from the embroidery design corresponds with that specific step in the directions. Learn the art of "Serger Crochet" with Pam. You can add this technique to so many things. It's beautiful, delicate and super fast on your baby lock sergers. Learn about thread and settings to add the perfect edge. See how easy it can be to crochet on your serger in the month of February. The American Sewing Guild (ASG) is a national non-profit organization dedicated to people who believe sewing is a rewarding and creative activity and advance sewing as an art and life skill. We hope to encourage and inspire people to sew. The Raleigh, NC chapter has about 200 members who attend Neighborhood Group meetings in Raleigh, Cary, Chapel Hill/Carrboro, Durham, and surrounding area The officers and leaders are all volunteers. ASG members are welcome to attend any or all Neighborhood Group meetings throughout the USA. Non-members may attend TWO meetings; thereafter ASG membership is required. Membership is open to anyone with an interest in sewing, machine embroidery, etc. If you are interested in attending a Neighborhood Group meeting to see our 'sewing friends network' in action and hopefully becoming a member of the ASG, please contact Renee at caryday@asgraleigh.org. The Cary Day Neighborhood Group meets on the second Wednesday of the month from 1030am to 12 noon. We all hope you will join us for lots of fun and encouragement. You will not be disappointed!